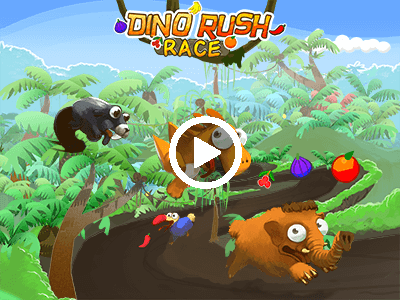 We are excited to announce the first content update for Dino Rush Race! 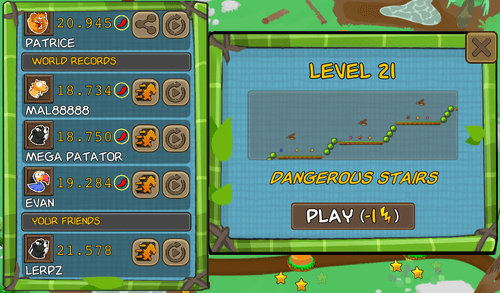 The main feature of this update is the ability to race against other people from the leaderboard panel in each level. The new race against button will allow you to do a 1 versus 1 game! The friends list still comes from Game Center automatically if you are connected with it. Otherwise please use Facebook Connect which is now fully functional: it was not at the game launch because we needed to wait for Facebook to validate our app. You will find the same race against button in Community Levels : in this mode you will play against the level creators best score and against the world record ! An image speaks better than a 1000 words. 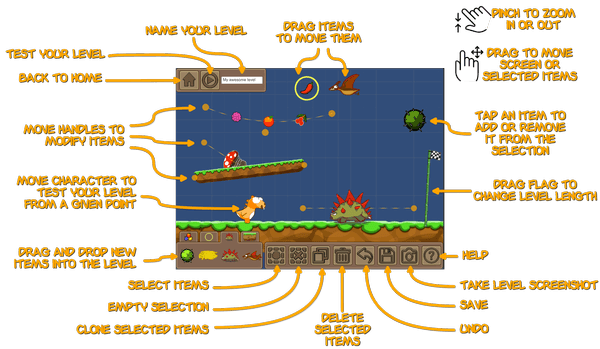 No more excuses for not making your own awesome level! Dino Rush Race is on early access on the App Store! After almost 2 years of development and a 6 months beta period, we are very excited to announce the early access of Dino Rush sequel on the iOS App Store. 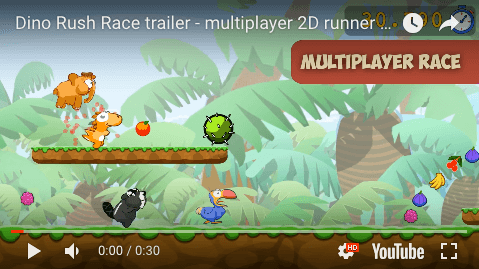 Dino Rush Race is a new 2D multiplayer game for your mobile. Get the game today and start racing against other players from all over the world! 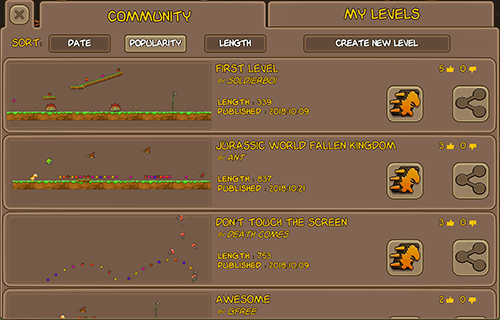 Build your own tracks using the in-game level editor and share them with the community! We are happy to announce we have opened pre-orders for Dino Rush Race! Pre-order the game now for free, and get it automatically on your phone the day of the release! The release of the game is set for this summer. Along with launching pre-orders, we released a trailer for the game.